In many schools, medical colleges and hospitals, for the proper conceptual and abstract study of human brain, human brain vectors are used. 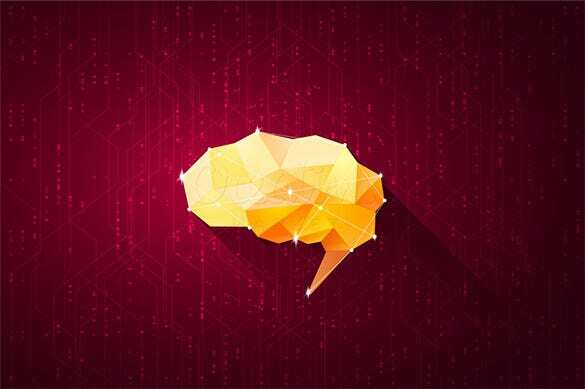 People and researchers who perform and study the human brain can use human brain vector images and files to know and gather more information about the human brain. 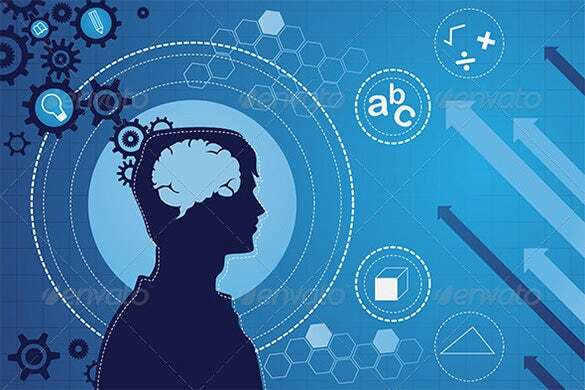 Different human brain vectors are also used in several schools and medical colleges to teach students and let them know about the human brain parts. You can also see Building Vectors. 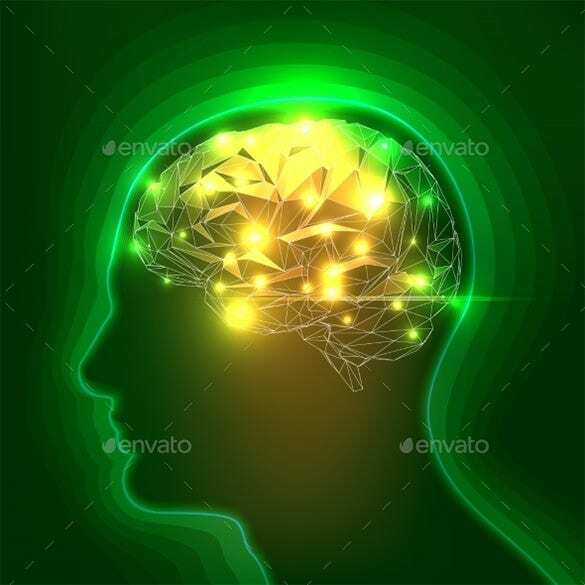 The abstract human brain silhouette vector shows a bright human brain vector image with the brain cells and turnings of the cerebrum shining in gold color with the magic of visual effects. 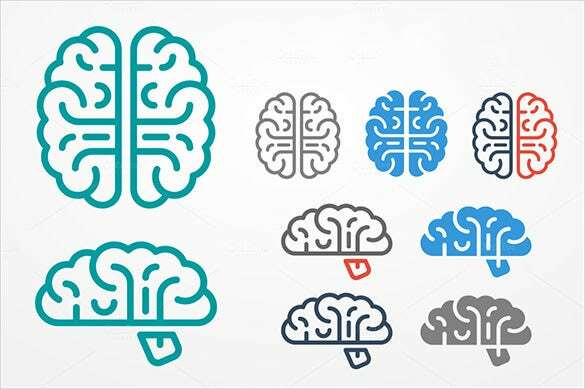 The human brain vector template comes with 4 different colored vector images of human brain with a vector tree design inside the brain image. It is often used in hospitals. 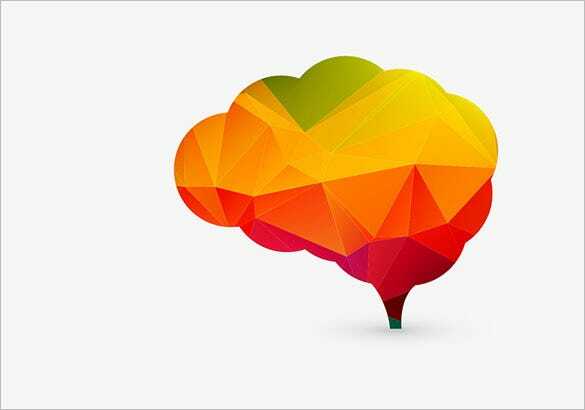 This colorful human brain vector has a bright and beautiful vector image of a human brain with gradient color shades on its parts. It has a creative look and feel. 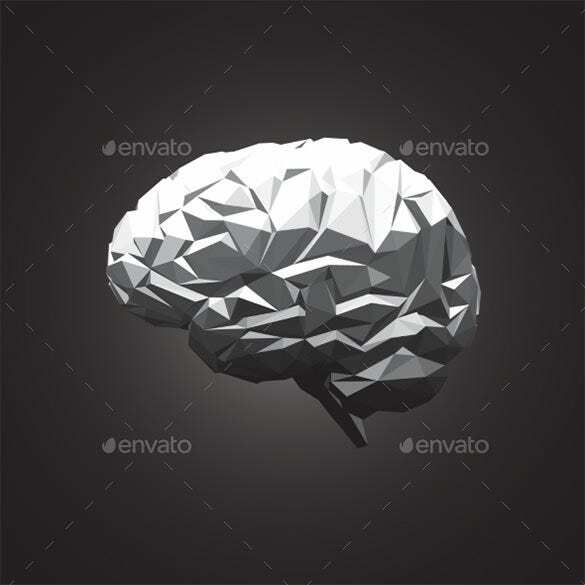 The paper abstract human brain vector displays the abstract image of a human brain looking as if the brain parts are made of wrapped paper. It has a black and white look. 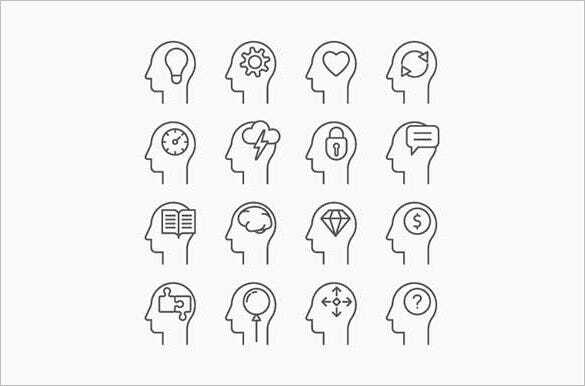 The premium human mind vectors is a simple and beautiful collection of brain vector designs that are expressive and represents the different brain activities that are connected with every individual. 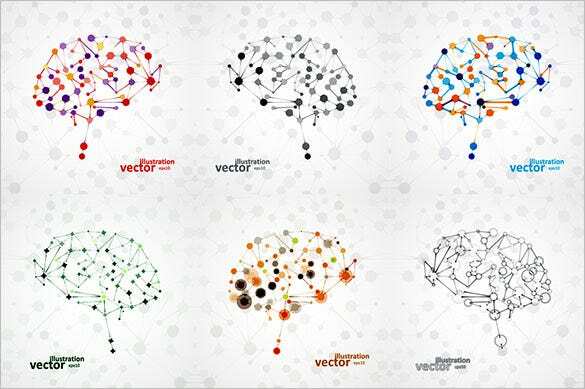 Just as the name suggests, the astonishing looking human brain vector comes with a vector image of human brain with each part of the human brain in different bright colors. 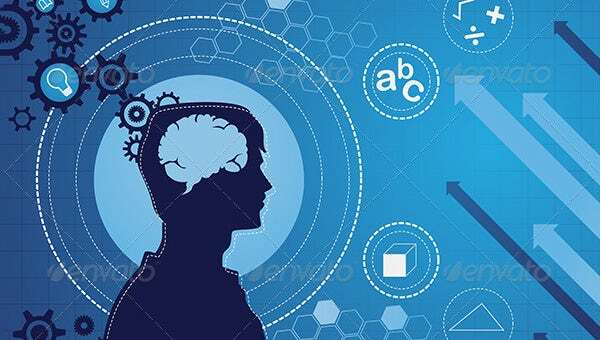 Premium human brain vectors come with hand drawn vector images with geometric human brain shapes. They are often used as human brain images to be printed on books for schools. 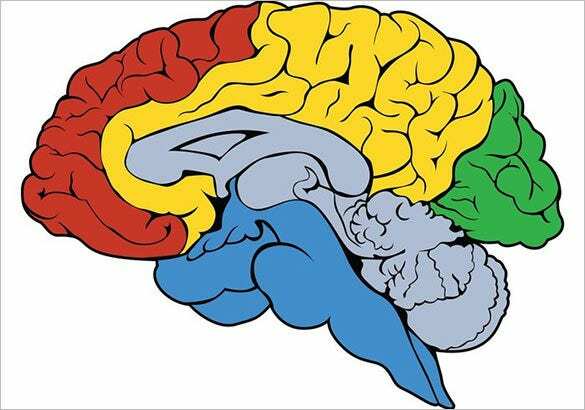 This simple looking human brain vector comes with colorful and flat images of clearly distinguished human brain parts. It comes in 9 different colors. It is often seen in hospitals. 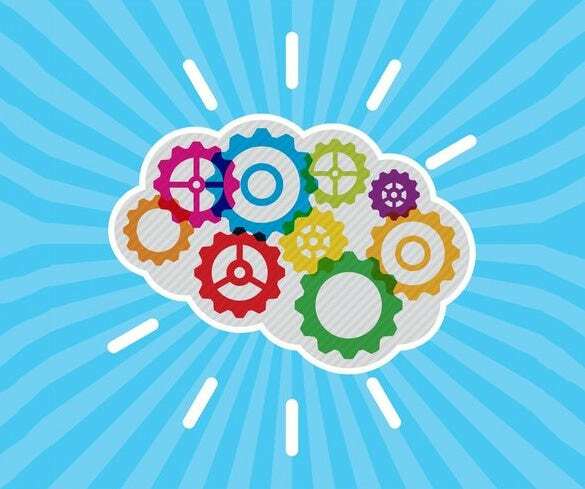 The human brain gear vector comes with a vector image of a white human brain with colorful vector gear patterns. 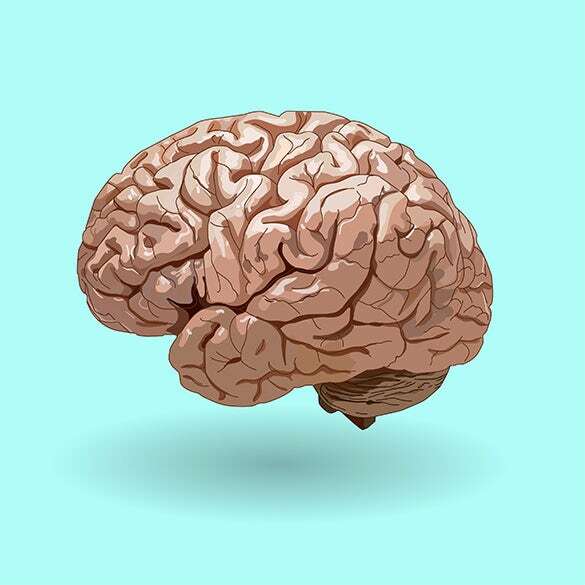 The human brain vector image is placed on a blue background image. 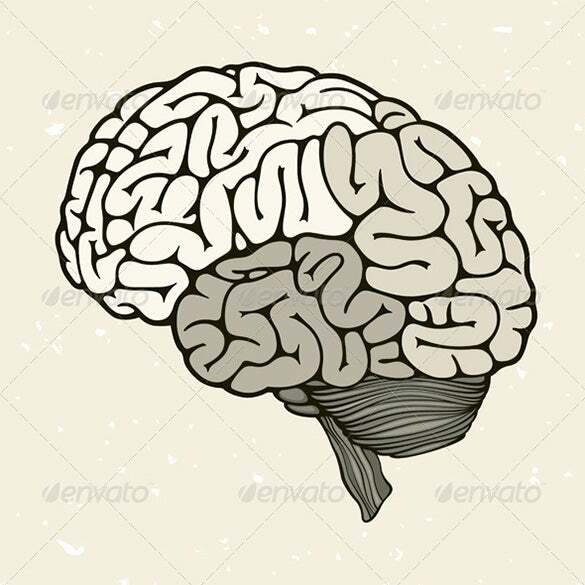 This amazing looking human brain vector is very useful and shows the different functions of the left and right part of the human brain, using various vector image symbols and patterns. Just as the name suggests, the molecular human brain vector shows the structure of the human brain from different angles, using vector molecular symbols and patterns. It has 6 brain images. 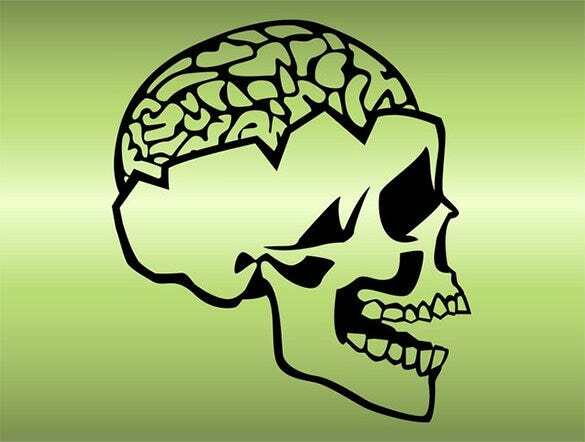 As clear from the name, the human skull and brain vector has a vector image of the human skull with a human brain on it. The vector image is placed on a green background. 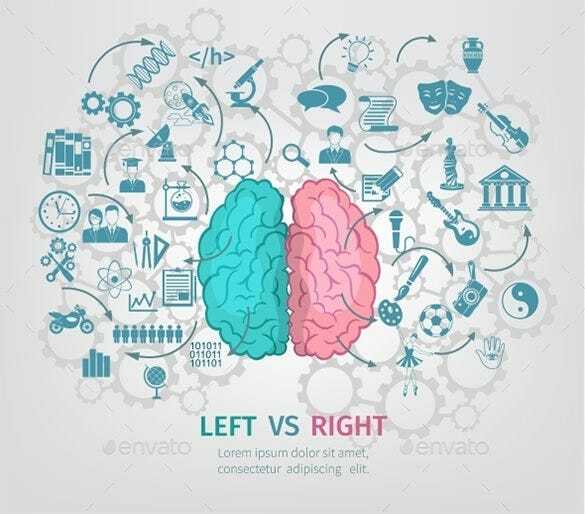 This amazingly useful human brain vector comes with a vector image that clearly describes the analytical and creative functions of the left part and right part of the brain respectively. The realistic human brain vector comes with a realistic side view image of the human brain. It is very helpful for teachers of a school to teach the students about the human brain. 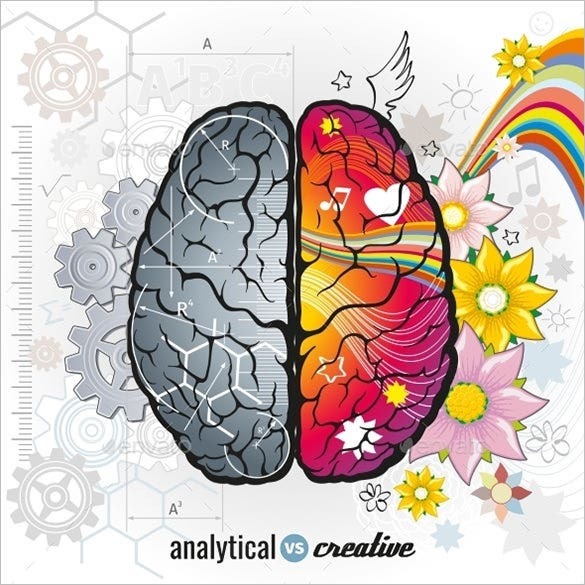 This conceptual creative concept human brain vector comes with a creative looking human brain vector image with the different brain parts made out of different bright and colorful wire-like tubes. Human brain vectors can be used for various purposes and presentations. 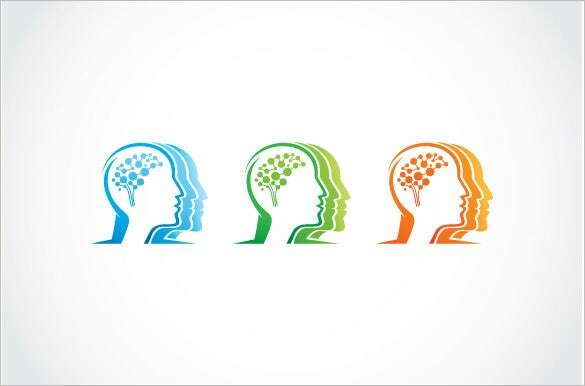 The different designs of the various human brain vectors also portray the creative minds of graphic designers who made them.